No one bar should have all this power. And by power, we mean political power, since politicians, lobbyists, and journalists are known to unwind here. 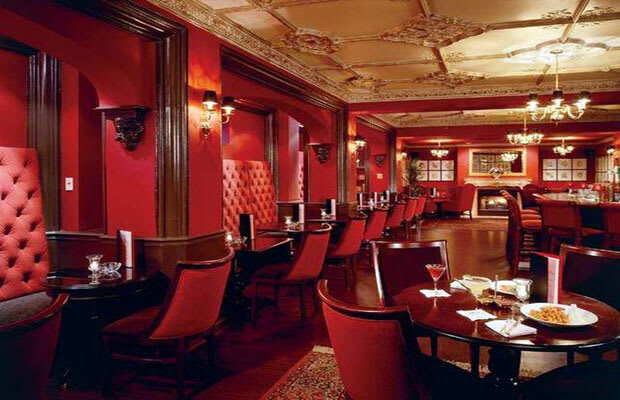 The décor features all the bells and whistles of a classic hotel bar: plush red seating, dark wooded floors, and ornate crown ceilings; the only thing missing is a cigar smoke haze. But the political cartoons lining the wall from cartoonist Matt Wuerker lighten the air of sophistication a few notches, as if you’re right at home in D.C.’s living room.